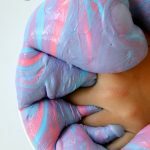 Christmas Explosion Slime, the prettiest slime you will make this season, is perfect for gifting, sensory play and pure fun! 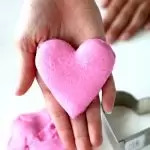 Look below to find your best slime recipe and learn how to make gorgeous red and green streak across your slime, making slime the ultimate crafting fun. 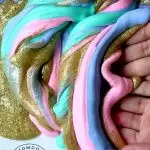 As a leader in slime crafting ( you must see our original Unicorn Poop Slime Recipe), I am so excited to give you an inspirational take on our Rainbow Explosion Slime that has been shared nearly 50,000 times. While rainbows are and will always be my favorite, this red and green version is just as fun! We used a regular fluffy slime recipe with starch as the activator. 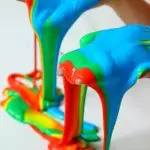 Once you have your slime ready, sit it down and let it spread a little bit. 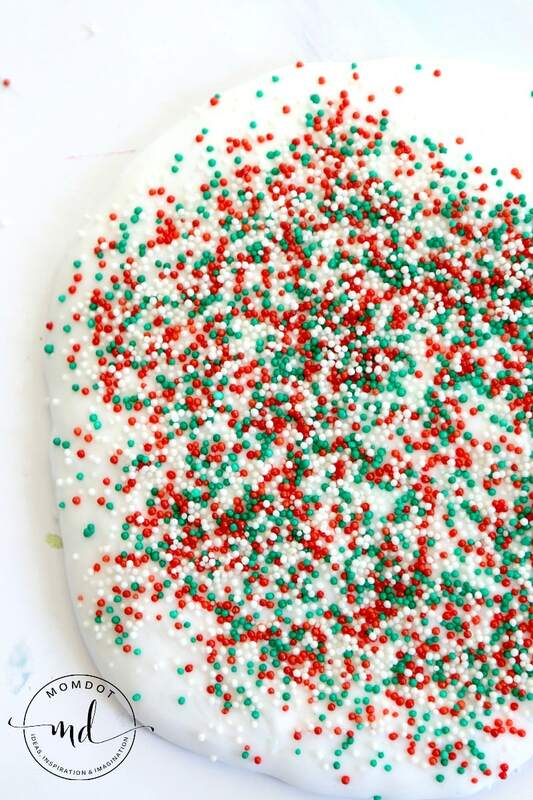 Now sprinkle non pareils in Christmas colors on the slime. It’s ok to go heavy on them! Now let them sit about 30 seconds – this is important! 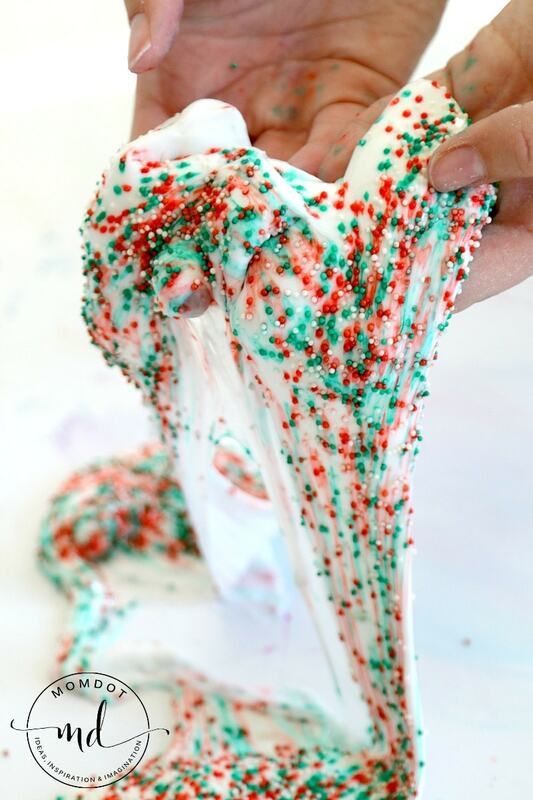 It allows the sprinkles in your Christmas slime to sit into the slime for the magical reveal. 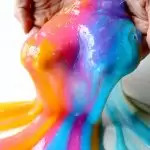 Once your time is up, slowly take your slime from one side and spread, watching the Christmas Explosion of Colors! 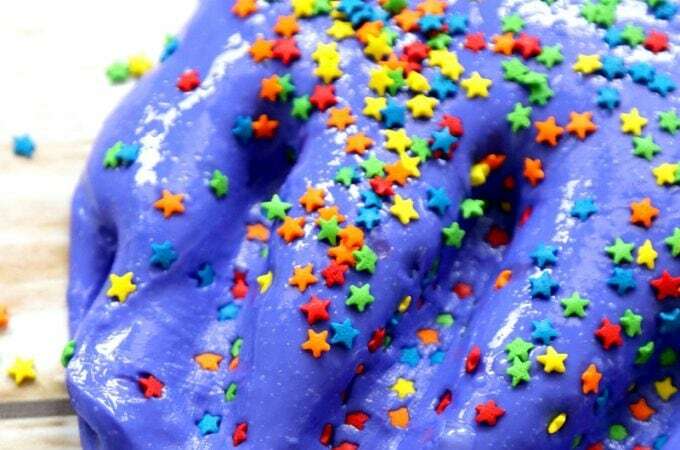 This slime is so beautiful! 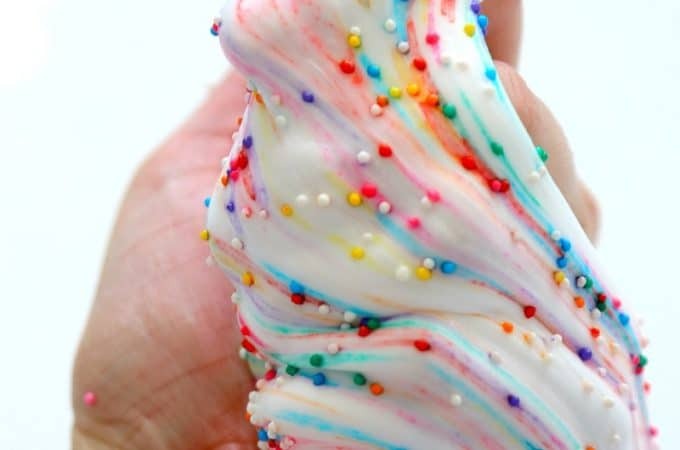 The reason the sprinkles make such striking stripes is due to the dye from the sprinkles being rubbed off onto the slime. 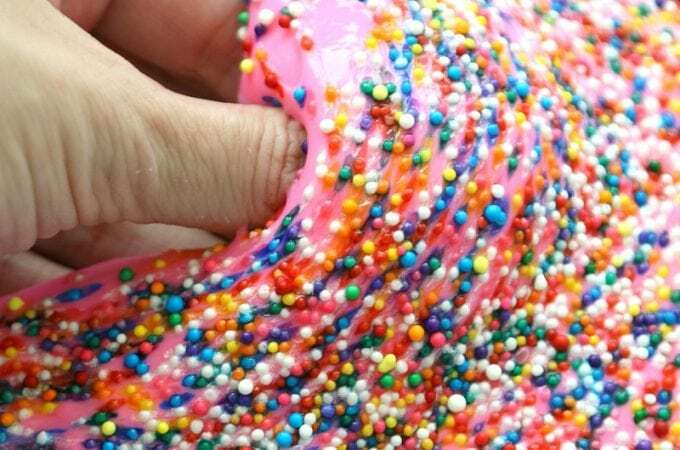 Eventually the sprinkles will turn white and if you use a white slime, it will likely turn color from the red and green slime. 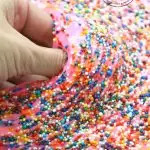 You can continue to add more sprinkles and play over and over again. 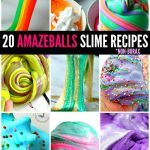 Looking for another Christmas slime recipe? 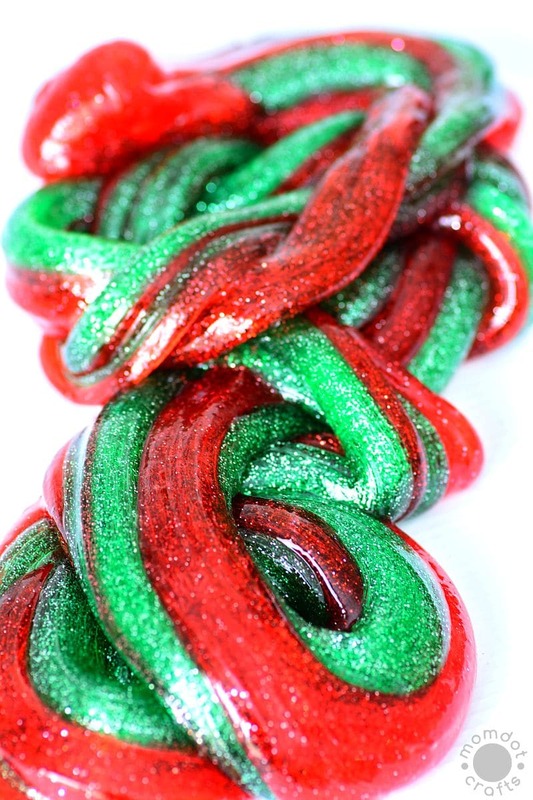 Try Peppermint Christmas Slime a sparkly beautiful version of mixed colored slime! I think you are misunderstanding, the last picture is a totally different slime. It says above it “Looking for another Christmas slime recipe? 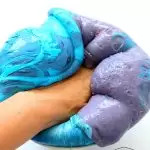 Try Peppermint Christmas Slime a sparkly beautiful version of mixed colored slime” – You have to click on that link to get THAT slimes recipe. Its not the same one, its a link to the next slime. Additionally, this is not a video site, its a blog and we focus on tutorials and images on how to create. I do not specialize in video.